GIFTO's Lahore Karahi is the jewel in Southall's crown. 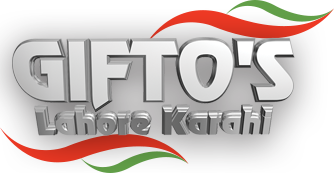 Hot spots - GIFTO'S Lahore Karahi - To a manic bhangra beat reverberating off the marble floors and around.. the Lahore Karahi & Tandoori pulsed with mainly Asian family life. Forget the old cliches about Indian food. Tim Burke takes a trip to Southall in search of the real thing. The daily making of fresh curry paste and rich marinades is Southall's key ingredient. The GIFTO'S Lahore Karahi prepares a soft marinade of yoghurt, oil and spices for chicken meat, a more zestful use of chilli for the lamb and a delicate blend for their fish. One of the joys of this restaurant is the open kitchen; here you can watch fast-working chefs prepare..